The activities of various types of armed groups in West Africa represent a tremendous threat to the region’s stability, and hence require our utmost attention. These groups use violence for multiple purposes: religious fundamentalism, rebellion against the state, separatism... ...Read More. 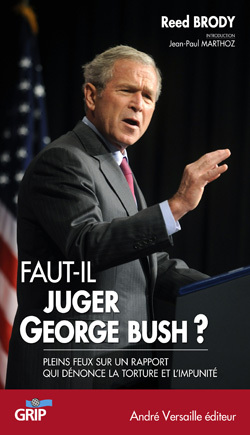 On the eve of NATO Summit in Chicago on 21 and 22 May 2012 where the Review of the posture of defense and deterrence will be made public (Defence and Deterrence Posture Review), the issue of U.S. tactical nuclear weapons in Europe is back on the agenda. They were deployed in the mid-1950s by the United States and Russia. 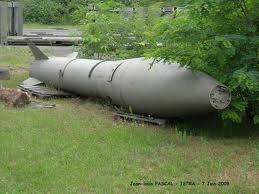 For both sides, they constituted a nuclear bulwark against a possible attack from enemy armies. ...Read more. 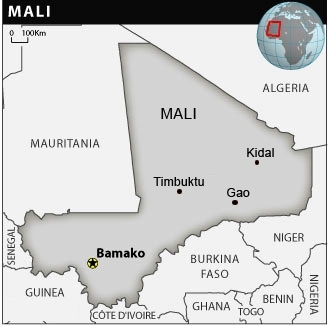 Towards the return of a constitutional order in Mali ? Mali has been absorbed since the beginning of 2012 in a worrying situation : a new Tuareg rebellion in the north of the country claiming to free the region called Azawad, the noticed presence on the territory of armed salafist groups, the realistic threat of a famine in the Sahel, dozens of thousands of Malians displaced because of the battles between Bamako and the Tuareg (for an overview of the situation, refer to the first semester Monitoring). Unexpected consequence of this explosive situation, a commando unit led by a certain Amadou Sanogo overthrew on March 22 the Malian president Amadou Toumani Touré (usually called ATT), who would have retired from politics the day of the pre-planned presidential elections on April 29. ...Read more. It aims to monitor the security situation in West Africa with a focus on Burkina Faso, ... Read more. What are the accomplishments of the 2010 franco-british cooperation? 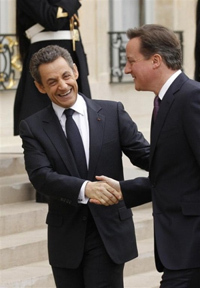 In November 2010, the conclusion of the two treaties between France and the United Kingdom sparked numerous suspicious reactions in Europe. This article is led by a double question. More than one year after they have been concluded, what are the achievements of the treaties in terms of cooperation? 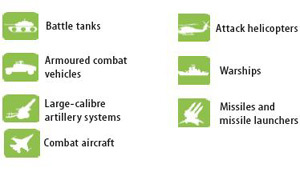 Do the accomplishments allow to have a better view of their impact on the European Security and Defence Policy? Without jumping to conclusions, it is already obvious that the progress is tenuous because of several technical and political obstacles. While the operation in Libya highlighted the European shortage in military means, a strict bilateral cooperation among the two European states is more than ever questionable. In an era where the world is in permanent mutation, a deeper European political integration seems to be necessary... Read more. 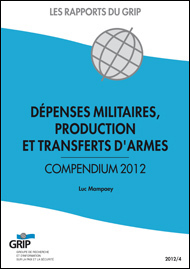 This report summarizes the main statistics on global military expenditure, arms production and international transfers of conventional arms. The data in this report are essentially from databases of the Stockholm International Peace Research Institute (SIPRI), possibly supplemented by socio-economic statistics extracted from the databases of Eurostat, the World Bank, UN agencies or the press. In 2010, the world military expenditures amounted to 1 630 billion dollars which represents 2.6% of the world GDP and about 236 dollars per capita. The United States accounts for 42.8% of the total. The combined turnover achieved in the arms production by the top 100 arms producers in the world is estimated at 418.8 billion dollars for 2010...Read more. April 29, 2012 will mark the fifteenth anniversary of entry into force of the Convention on Prohibition of Chemical Weapons (CWC), which prohibits chemical weapons’ development, production, acquisition, storage, possession and direct or indirect transfer. By requiring the destruction of stockpiles and production facilities - or their conversion to peaceful purposes - under the supervision of an organization created for this purpose, the CWC is a real instrument of disarmament. Although eight states remain outside the Convention, the 188 States parties represent 98% of world population and 98% of global stocks of chemical weapons. Since their respective date of accession, all states are progressively fulfilling their obligations with more or less difficulties and more or less successes...Read more. Thomas Lubanga Dyilo was convicted of crimes of enlisting and conscripting children under the age of 15, on 14 March, 2012 in The Hague. This decision by the International Criminal Court (ICC) is unanimously recognized as a strong signal to all those who recruit and use children in armed conflicts around the world. Leader of the Union of Congolese Patriots (UPC), a particularly brutal armed group native to the Ituri region of north-eastern DRC, Thomas Lubanga Dyilo is the first person arrested and transferred to The Hague for trial by the ICC... Read more. 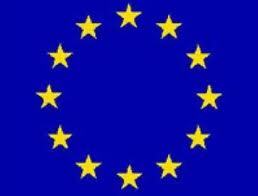 On 8 March 2012, the European Union Council has finally adopted a new European legislation that sets the rules and procedures to be followed by Member States on export, import and transit authorizations of firearms for civilian use (such as hunting weapons and sporting weapons), their parts and components, and ammunition, to and from the EU. These new rules therefore only address firearms transfers with non-EU countries...Read more. 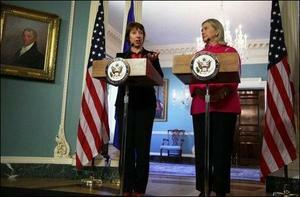 The Iranian nuclear crisis: towards new negotiations? A few days after announcing further improvements in its nuclear program, Iran refused again to answer questions from the IAEA inspectors and to allow them access to a site suspected of harboring military nuclear activities. International actors are divided on the measures to be undertaken. The military option is on the table but Israel does not obtain the consent of the majority of great powers who prefer the policy of sanctions /negotiations...Read more. 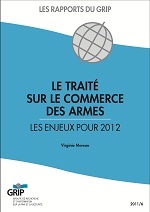 There is no consensus on whether ammunition should be included in the scope of the international Arms Trade Treaty (ATT). Most states support its inclusion and point towards the negative impact of irresponsible and poorly controlled transfers of ammunition. The insecurity and tremendous human suffering associated with such transfers in the context of armed violence in Africa are a case in point. A few states, however, oppose the inclusion of ammunition in the ATT and argue that controlling international ammunition transfers would be unfeasible and highly cost-intensive. 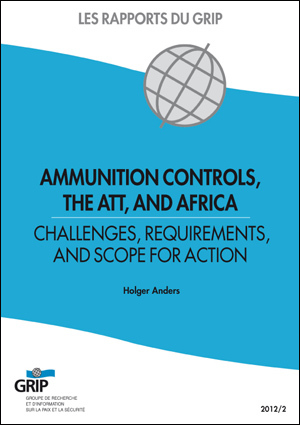 This report discusses the challenges of ammunition controls in Africa against the background of the international discussions on the ATT...Read more. a new concept for old practices? Torn between the conflicting notions of national sovereignty and humanitarian intervention, the international community has long been in search for a way to cope with mass atrocities. The debate around the UN response to crisis situations has evolved quite substantially through the years. In 2000, the introduction of the concept of “responsibility to protect”, as a new milestone, paved the way to a possible reconciliation of national sovereignty and ...Read more. 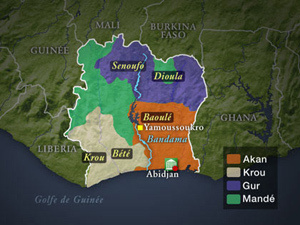 The conflict in Ivory Coast after the Ivorian presidential election of November 28, 2010 is not a new or surprising phenomenon. It follows a decade of crisis which finds its origin in various internal causes, crystallized around the concept of “ivority”. Moreover, these internal tensions were exacerbated by an unstable regional context. This study on the origins of the Ivorian conflict is complemented by a report on the impacts of the Ivorian crisis... Read more. 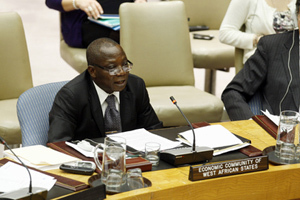 In spite of recent developments including the marked expansion of democratic spaces, West Africa remains particularly affected by outbreaks of latent conflicts, related to the presence or activity of armed groups. Beyond specific backgrounds –local or national– these players and sources of instability are part of underlying and interdependent dynamics, which are real "conflict systems" with sub-regional implications. ...Read more. With the borderless economy developing and multipolarity becoming a reality, China has succeeded in taking the lead of a dynamic that pushes Asia ever more to the centre of the global geopolitical landscape. 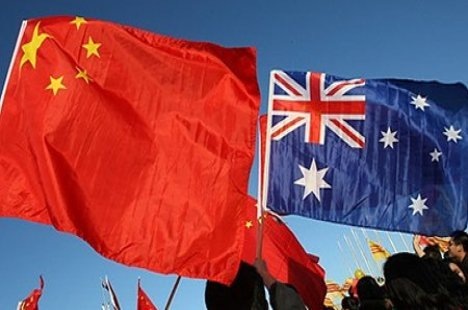 In the Asia-Pacific region, such a development constitutes a dramatic challenge to regional stability, as Beijing’s long-term strategic ambitions remain clouded with concerns and uncertainty. Countries faced by this destabilizing process have so far displayed quite a mixed response to the challenge. ... Read more. 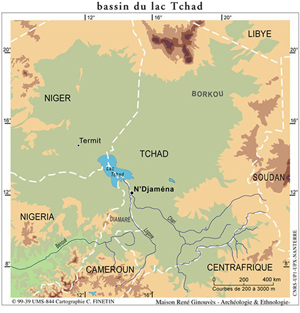 Following the fall of the regime of Muammar Gaddafi in the autumn of 2011, the EU faced several challenges likely to generate political instability, security and humanitarian issues in the Sahel-Saharan region. These can have substantial impacts on its economic interests in the region but also within its borders. Recognizing the inextricable link between security and development, it provides strategies in various fields in order to support the Sahel States’ national strategies and policies. This Strategy raises several questions: is the Strategy for the Sahel adapted to the challenges faced by the new authorities in the region? How can we move beyond words and make this Strategy effective? ... Read more. Illegal trafficking and irresponsible arms transfers are a threat to peace and security. 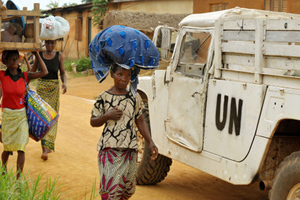 Their consequences are often measured in terms of human losses and development in many parts of the world. Yet so far there is still no international instrument to regulate the international transfers of conventional weapons. Through combined efforts of civil society and some governments, the need to address this lack of global common standards has gradually become selfevident for States. In December 2006 the United Nations (UN) passed a resolution to initiate a process in order to lead to the development of an international Arms Trade Treaty (ATT). Five years later, the process is close to be fulfilled. 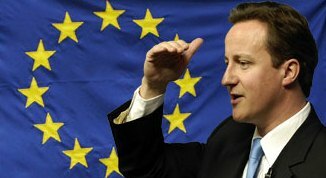 An international UN Conference will be held in July 2012 to negotiate and, in principle, adopt a Treaty. ... Read more. This GRIP report studies the concept of transparency in armaments and provides an overview of the European States’ activities in the field of exchange of information and reporting on arms transfers. 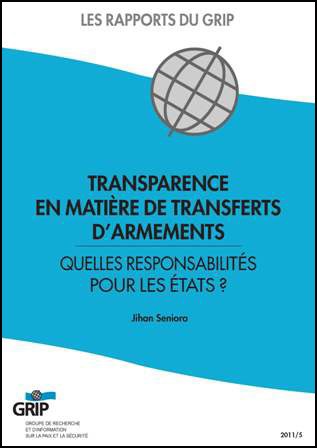 Transparency, more than a fashionable concept, is key to improve democratic accountability over arms transfers and must be regarded as a factor underlying every political decision. Each transparency mechanism has been put into place to fulfill specific goals such as improving regional and international security and stability. This report analyses reporting activities improving public transparency and the main mechanisms of exchange of information...Read more. 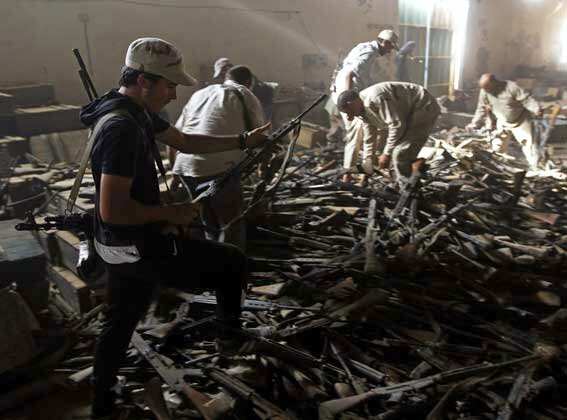 Is there really a EU Strategy against small arms proliferation? The adoption of a strategy against the proliferation of SALW (small arms and light weapons) has allowed the EU to better structure its many initiatives to assist areas affected by the proliferation of SALW and the promotion of multilateralism in fight against this scourge. Still its Member States are struggling to harmonise their practices in the SALW trade and thus to act preventively against diversion and proliferation. This lack of coordination could be filled through practical initiatives such as ...Read more. 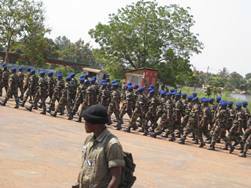 Peacekeeping operations multiply and evolve, and weapon transfers towards these missions rarely raise questions. This article develops the conditions necessary for such transfers and their implications. Even though they always appear as transfers to peacekeeping operations, they are above all transfers to the troop contributing countries, which assign them to their regiments deployed in an international operation. Within these missions, with losses, corruption and traffic,... Read more. European NGOs and academics launch a report today that sheds light on the vast tide of arms that has swept across the Mediterranean from Europe to the Middle East and North Africa (MENA) over the past decade. 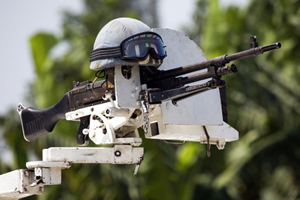 The report, Lessons from MENA – Appraising EU transfer of military and security equipment to the Middle East and North Africa, ... Read more. Non state actors get their weapons from several sources: theft from government stockpiles, capture from the enemy, diversion, black market, and transfers from a foreign state. One thing is certain though, the State is the main arms supplier to non state actors, willingly or not, from its own territory or from abroad. The impacts of these acquisitions are real in terms of proliferation on the short and long term and at the national and regional levels, as the Libyan case recently highlighted. 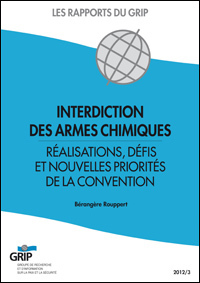 Proliferation in the hands of civilians, diversion to undesirable actors, human rights abuses: States must use caution when they consider arms transfers to non state actors... Read more. With the conviction of Viktor Bout in New York, a crucial milestone has been reached on Wednesday 2nd November in the fight against international weapon trafficking. Few weapon smugglers have to this day been effectively convicted. Mr. Bout, former 44 year-old Russian military, who inspired the movie Lord of War, is considered as one of the main weapon traffickers ... Read more. It aims to monitor the security situation in West Africa with a focus on Burkina Faso, Côte d’Ivoire, Mali, Niger and Senegal. It examines in particular issues related to regional tensions, terrorism and cross-border trafficking,...Read more. The new website to the United Nations Register on Conventional arms (URL : http://www.un-register.org/HeavyWeapons/Index.aspx) is a step forward toward increased transparency in armaments. More didactic and interactive, the website allows the user to easily access a valuable source of information...Read more. Unless otherwise indicated, the majority of our Analyses, Reports and Books are in French. English titles and abstracts are provided to indicate their content. 01/06/2011 - Cédric Poitevin carried out in June some missions in Mali, Nigeria and Ghana as part of the evaluation of the control of SALW in West Africa (ECOSAP).